Icy weather didn’t cool down the job market, but wages aren’t heating up, either. Employers added 295,000 jobs in February, the Bureau of Labor Statistics said Friday. 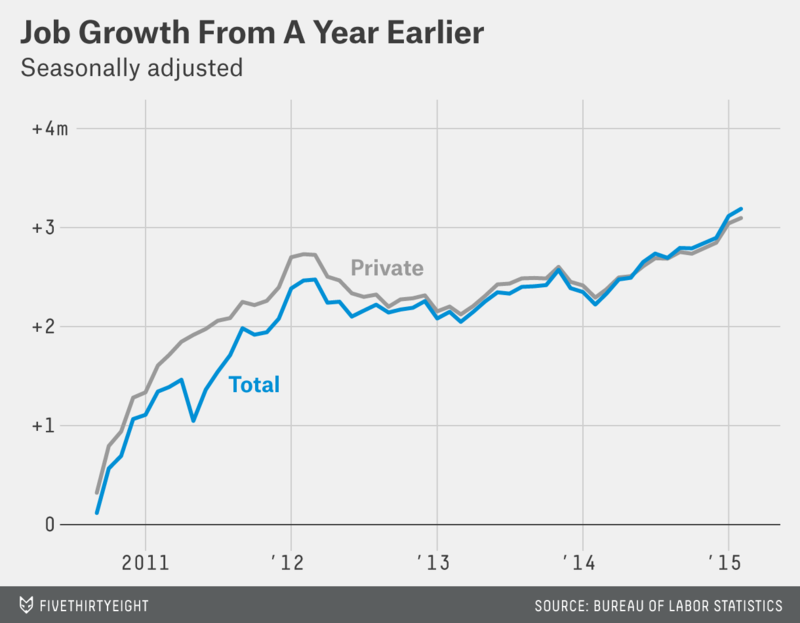 It was the 12th consecutive month that the economy created at least 200,000 jobs, the longest streak in 30 years. 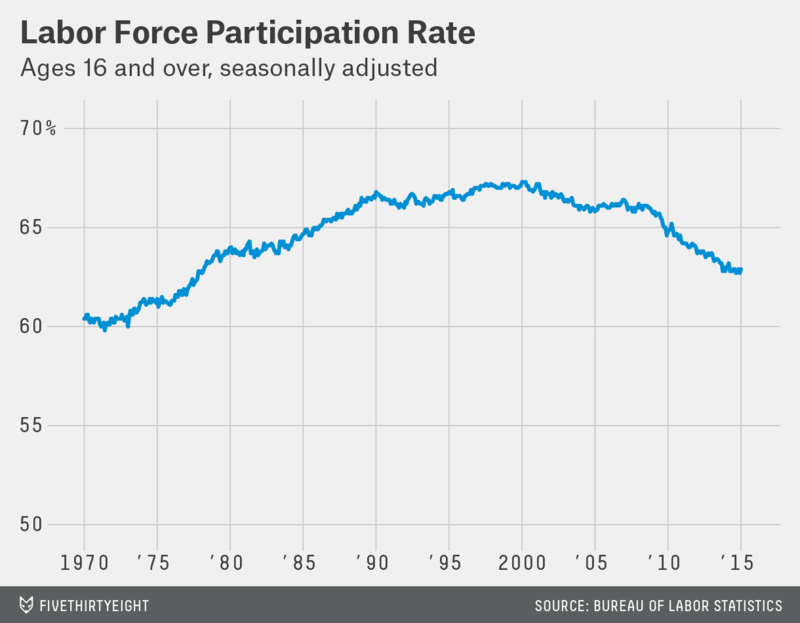 The unemployment rate fell to 5.5 percent, the lowest it’s been since 2008. Yet wages are doing little more than keeping up with inflation. 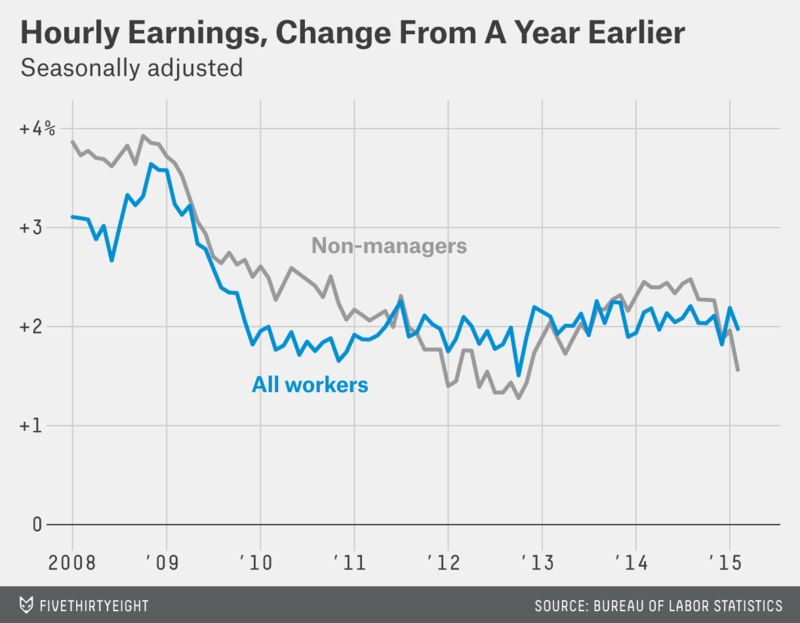 The average worker earned $24.78 an hour in February, just 2 percent more than a year earlier. 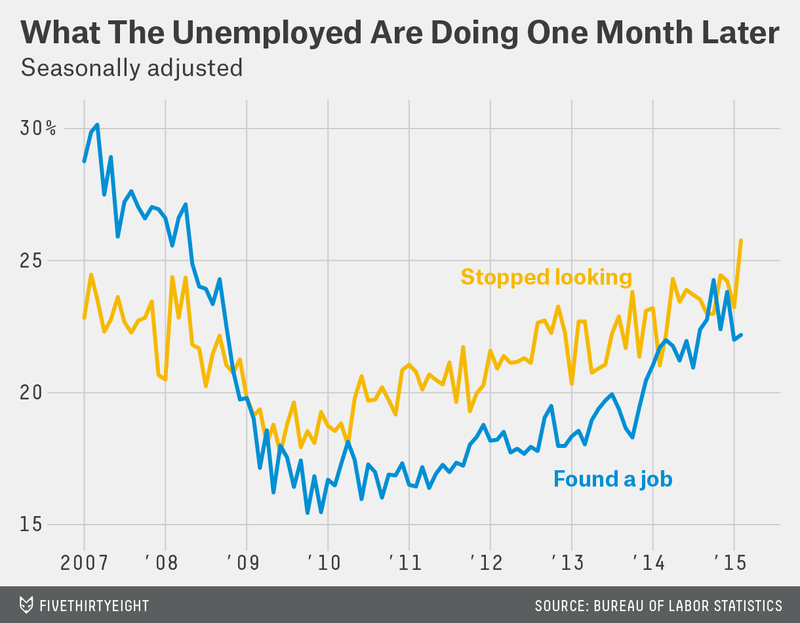 That means most workers aren’t seeing much benefit from the rapidly improving job market. If it feels like you’ve read that sentence before, you probably have. For most of the first five years of the recovery, which officially began in July of 2009, the big question was when job growth would start to pick up steam. Early last year, it finally did. Since then, the question has been wages: If the economy is strong enough to add hundreds of thousands of jobs a month on a consistent basis, why isn’t it strong enough for companies to give workers a raise? The optimistic answer to that question would be that there are still so many people looking for jobs that companies are under little pressure to raise pay. That may not sound very optimistic, but it would actually be good news for the economy: It would suggest that strong job growth is encouraging people who’d given up looking for work to restart their searches and rejoin the labor force. Eventually, as long as the economy continues to improve, the pool of available workers will start to run dry, and companies will have to start raising wages to attract talent. But that argument is getting harder and harder to make. Friday’s report doesn’t provide any evidence that people are rushing back into the labor force; on the contrary, the number of people restarting job searches fell. The share of the population that’s working or actively looking for work — a measure known as the participation rate — fell in February after ticking up in January; it remains near a three-decade low. That suggests there are deeper, structural forces keeping wages down. There are signs that things could be starting to change. Wal-Mart’s announcement last month that it was raising pay for its lowest-wage workers was the latest piece of evidence that companies are feeling pressure — whether economic or political — to raise wages. But Friday’s jobs report was a reminder that the burden of proof is on anyone who claims wages are about to start accelerating. So far, there’s little evidence that the big-picture trend has changed. Little sign of wintry weather: Some economists had warned that the brutal winter — Boston, in particular, was buried under a historic series of snowstorms in February — could make it hard to interpret this month’s jobs report. But that appears to have been a false alarm. The sectors most likely to have been affected by the weather, such as construction, retail, and restaurants, all posted strong job gains in February. And the number of people reporting they couldn’t get to work because of bad weather was actually down sharply from a year earlier. That might be because last winter was even worse in much of the country, especially in places like Atlanta that aren’t well-equipped for snow and ice. Weakness in the household survey: The unemployment rate fell to 5.5 percent and is down 1.2 percentage points over the past year. A broader definition of underemployment that includes people who are stuck in part-time jobs or have given up looking for work has fallen even faster. But dig a bit deeper and there are some warning signs. The number of people who were unemployed in February fell by 274,000; the number of people who had jobs (a different measure than the count of payroll jobs) rose by just 96,000. In other words, more unemployed workers left the labor force than found jobs, hardly a mark of confidence in the economy. Broad-based job growth: February’s job gains cut across the economy, with both high-paying and low-paying sectors posting solid growth. But there were a couple of notable exceptions: Employment fell in the oil and gas sector, which is hardly a surprise considering the rapid drop in oil prices. Temporary employment also fell, which is harder to interpret. It could be that companies are bringing on permanent workers instead of temps because they’re gaining confidence in the economy, or it could be that they’re pulling back on flexible hiring because they see signs of a slowdown. One thing is clear: More Americans are working full time. Over the past year, full-time employment — defined as anyone working 35 hours a week or more in all their jobs combined — is up by nearly 3 million. 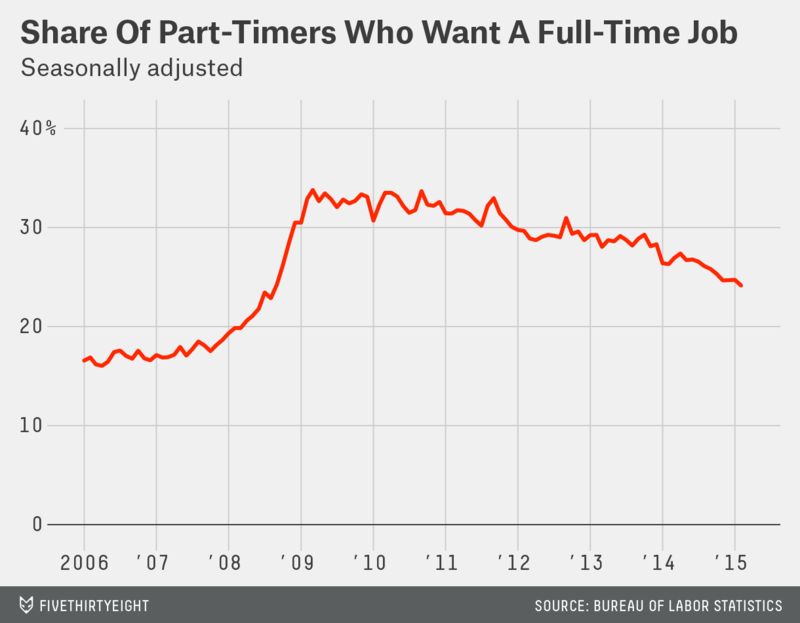 Part-time employment is barely up at all. And of the people who are working part time, more are doing so voluntarily; the number of people working part time because they can’t find full-time work fell to 6.6 million, the lowest level since 2008.